Music should be everyone's outlet. I've been lucky enough to have this be part of my life many times. I was the principal songwriter, guitarist and frontman for the funk collective - Bonjour, Ganesh! (the comma and "!" were part of our name). The band featured anywhere between 8 to 10 members and released one EP (on the Washington, DC label - Red Stapler Records). 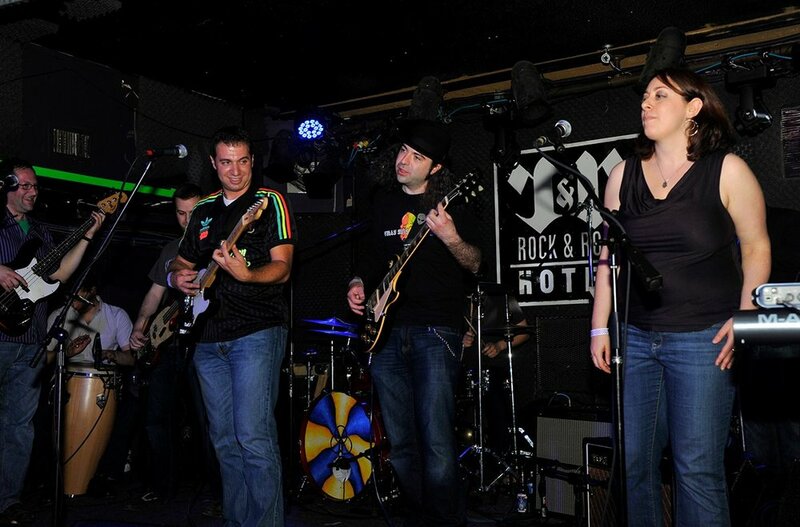 With clear jam band influences, the band really put on a show during live performances and most of our live recordings can be found on Archive.org.